The 36-year-old TV actress Sophia Bush attends “Miss Bala” premiere in Los Angeles. 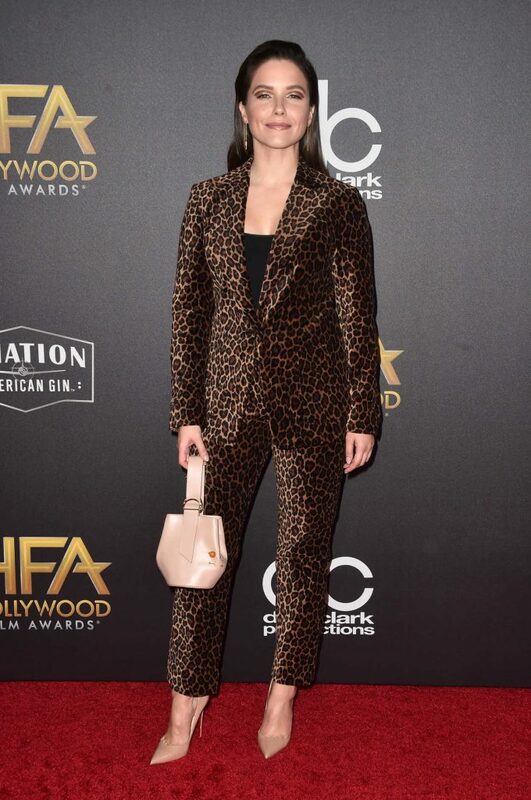 The 36-year-old TV actress Sophia Bush, who was named the Tournament of Roses Parade Queen at age 17, attends the 25th Annual Screen Actors Guild Awards in Los Angeles. The 36-year-old actress Sophia Bush, who starred in the movie “John Tucker Must Die”, in a yellow coat was seen out in NYC. The 36-year-old actress Sophia Bush attends the National Board of Review Awards Gala in New. The 36-year-old actress Sophia Bush, who appeared on the series “Nip/Tuck” and “One Tree Hill”, in a dark blue fur coat was seen out in New York. The 36-year-old actress Sophia Bush in a camo down-padded coat on the set of TV show “Surveillance”. The 36-year-old actress Sophia Bush, who starred in the movie “John Tucker Must Die”, attends the Telethon for America Event in Los Angeles. The 36-year-old TV actress Sophia Bush attends the 22nd Annual Hollywood Film Awards in Los Angeles. The 36-year-old TV actress Sophia Bush, who was named the Tournament of Roses Parade Queen at age 17, attends National Geographic Photo Ark Exhibit in Century City. The 36-year-old TV actress Sophia Bush, who appeared on the series “Nip/Tuck” and “One Tree Hill”, at the 7th Annual Women Making History Awards in Beverly Hills.